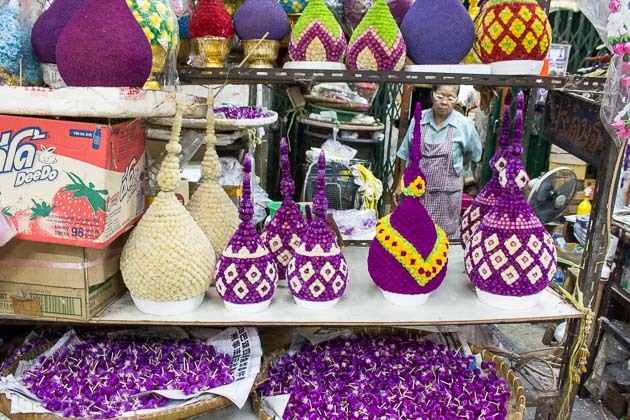 Bangkok is home to some of the biggest and arguably the best markets across South East Asia. 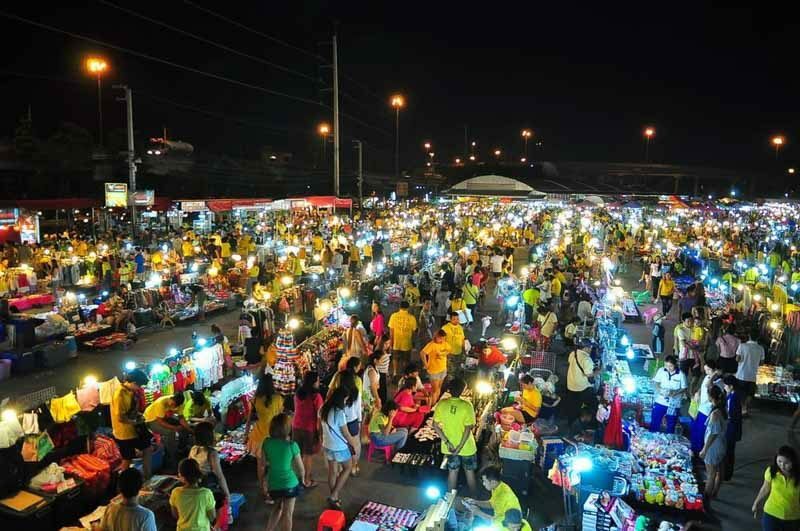 While bargaining your way through the crowds during the heat of the day can be an adventure in itself, we prefer the buzz and energy of the night markets. 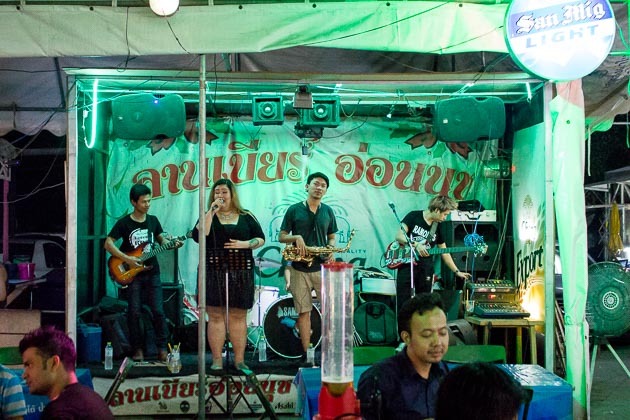 After dark, the food, drink and live entertainment really come to life making for a good, down home time in Bangkok. 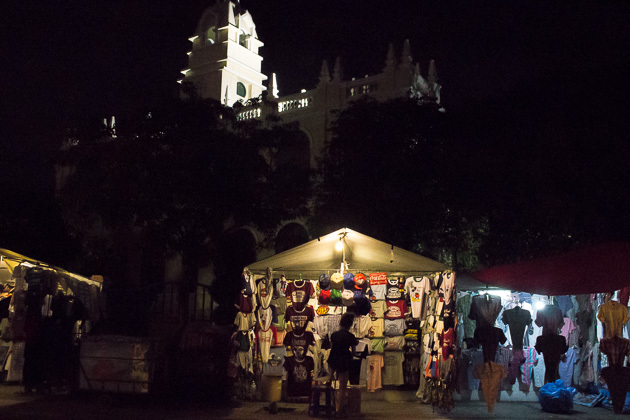 Tourist itineraries often include visits to such night markets. 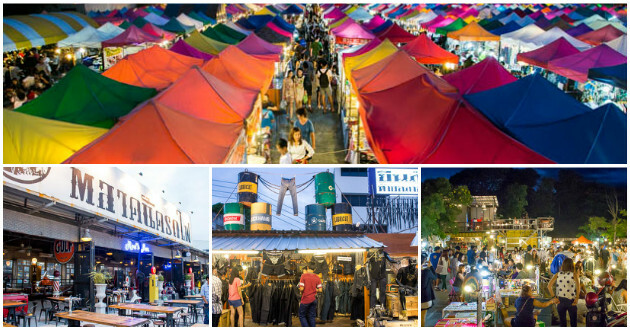 Talad (Market in Thai) are located all across Bangkok and the ones that open at night offer more good food, drinks and shopping. 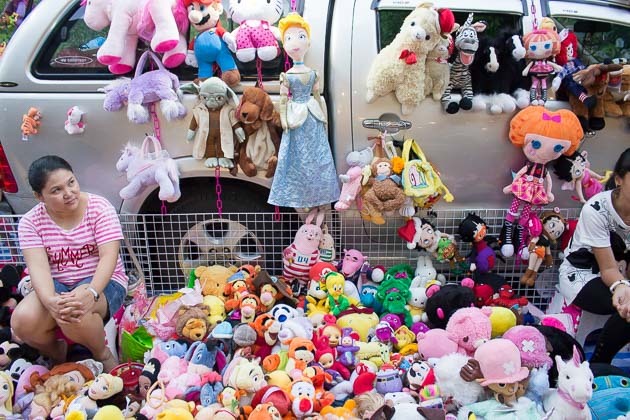 Needless to say, prices are often very competitive at these markets. 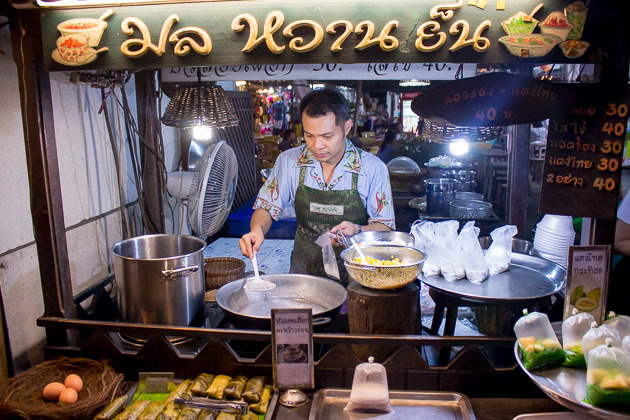 The night markets have become more popular due to the government’s restrictions on Bangkok street food that used to pop up almost anywhere in Thailand. 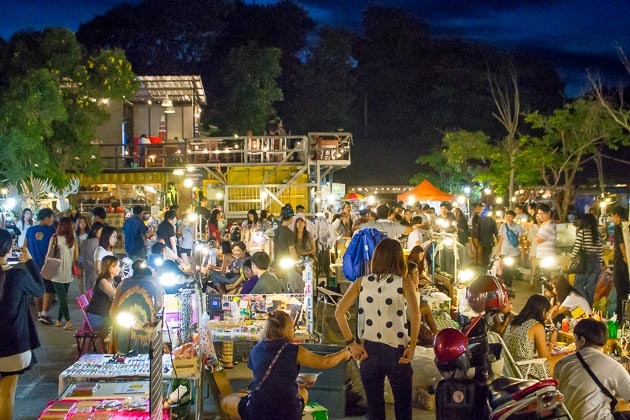 While the selection of night markets in Bangkok can be overwhelming, and often very spread apart from one another, we have compiled a list of the best tried-and-tested night markets worth checking out. 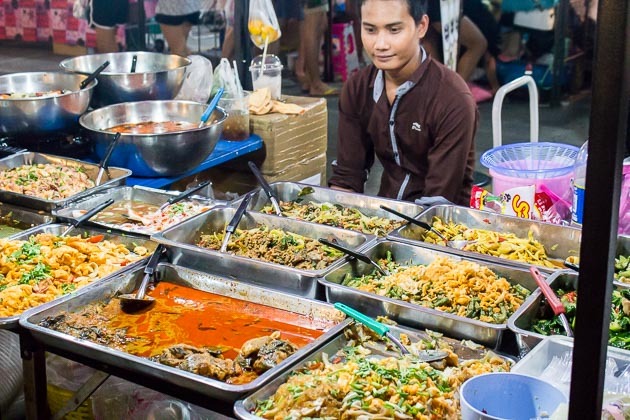 Rod Fai, or commonly referred to as the ‘Train Market’, got its name from the original Rod Fai night market located next to the train tracks on the outskirts of Bangkok. 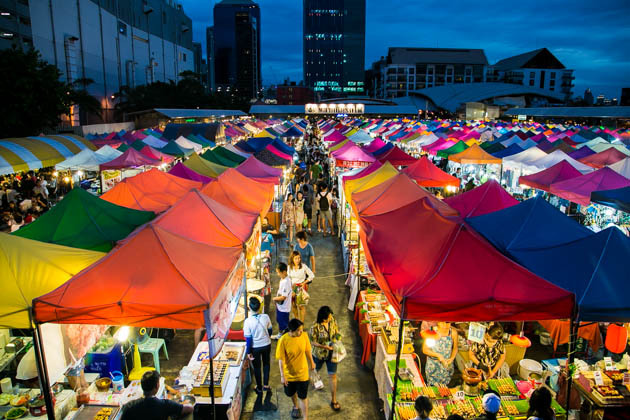 The newer Rod Fai market, which we visited, is conveniently located near the Thailand Cultural Center MRT – much closer to the city and faster to get to than the Rod Fai near Seacon Square Shopping Mall which takes a taxi ride of about 30 – 45 minutes. 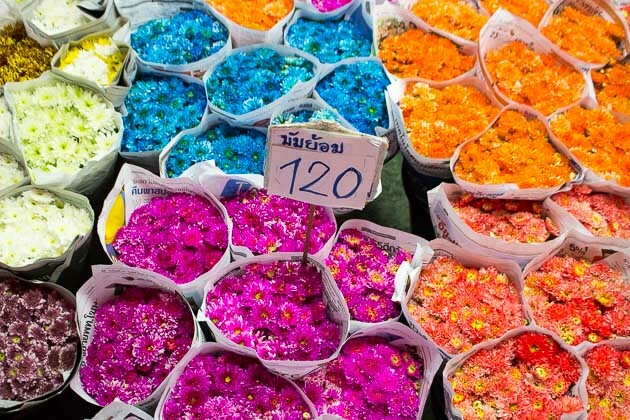 You will know you have arrived at Rod Fai by the sight of its marquee rainbow-colored tents. The kaleidoscope of colors not only make for a spectacular view while enjoying a beer from one of the many second story bars, but also a photographers dream. The food section at Rod Fai is plentiful. Of all the markets we visited the food here was the most concentrated together in one area of the market for easy browsing. 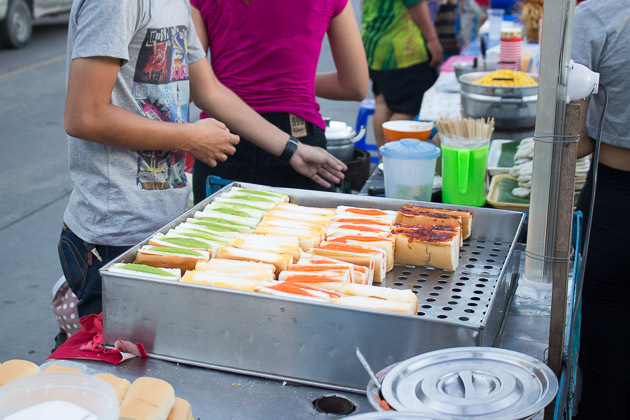 Located near the main entrance and taking up multiple rows on the near side of the market, you can get just anything in terms of food ranging from traditional Thai street food, to Japanese desserts, to nachos – all at the low prices one would expect from a night market. Your only worry can be finding a table once you have decided on your meal. 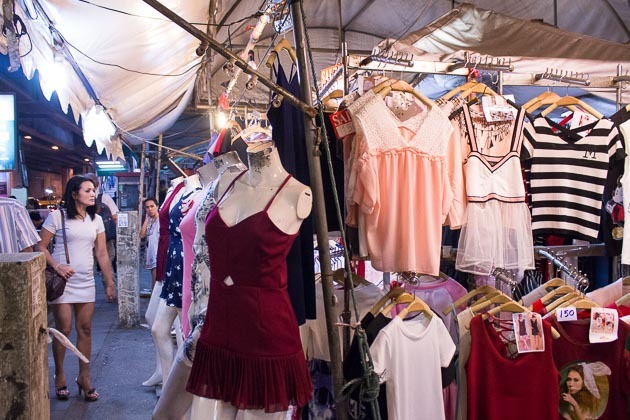 The shopping at Rod Fai is a nice mix of vintage, trendy and expected night market finds. The presentation and quality of the goods was nicer here than some other night markets making shopping the rows of tents more enjoyable. The prices here were also lower as compared to some of the more touristy markets. Overall, Rod Fai was my personal favorite of all the night markets we visited. The place had a very local, vibrant energy to it. 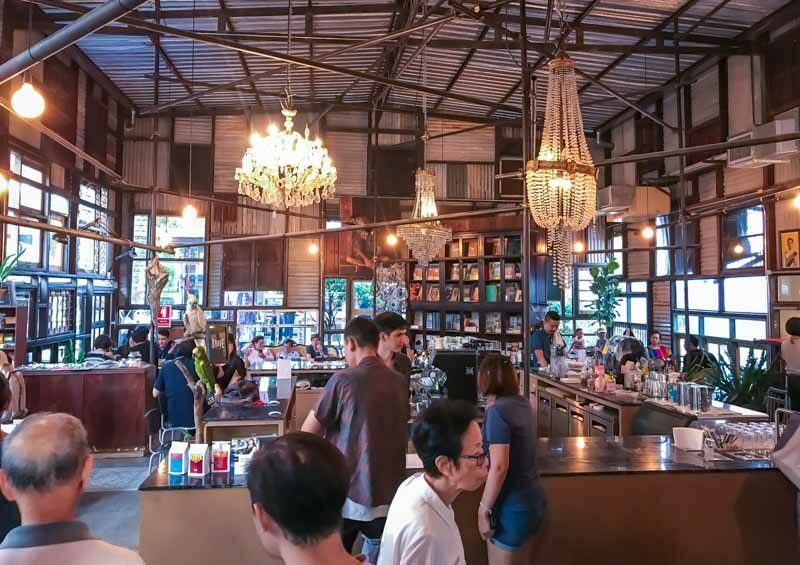 The abundant food selection, rows of neatly lined bars (many with live entertainment), varied shopping stalls and slight hipster vibe made for a very enjoyable experience. If you don’t like any of those things, just come here for the Instagram photo of the colored tents. 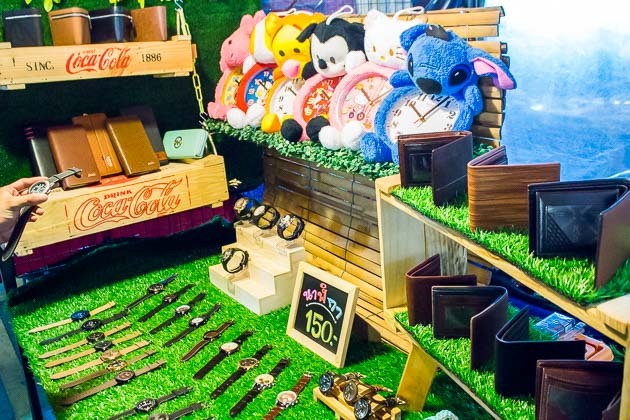 Jatuchak Green, or JJ Green as it is commonly known, is a vintage market located in a lush park right next door to the famed Chatuchak Weekend Market. JJ Green appears to get part of its crowd from savvy tourists making their way from of the Weekend Market once it closes at 18:00. 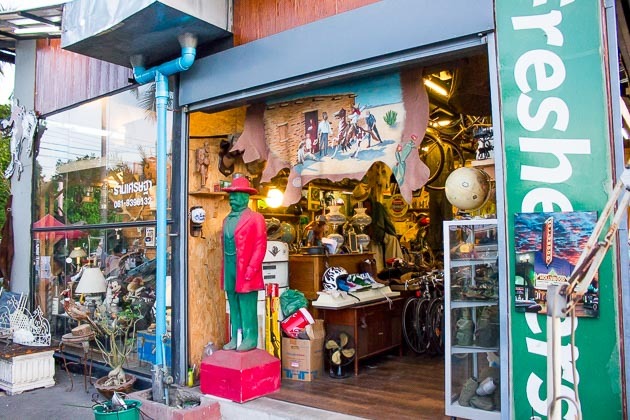 The other part of its clientele are a young group of locals enjoying the vintage finds and relative quiet atmostpthere of JJ Green. 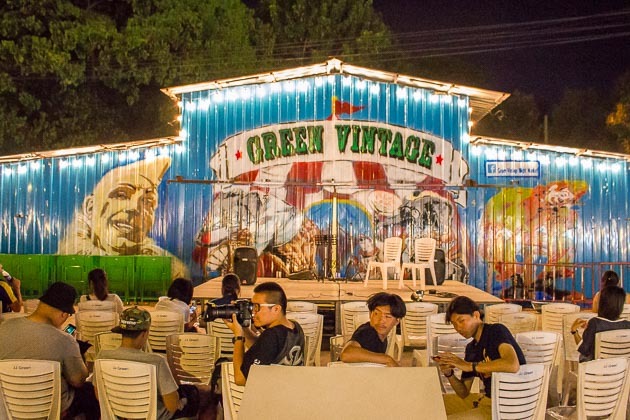 JJ Green is set up one part flea market and one part standard, tented night market. 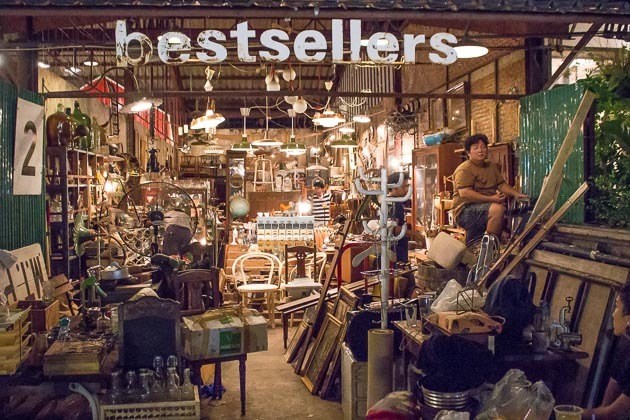 In the flea market area you will find vintage items sprawled across organized rows of sheets on the ground. 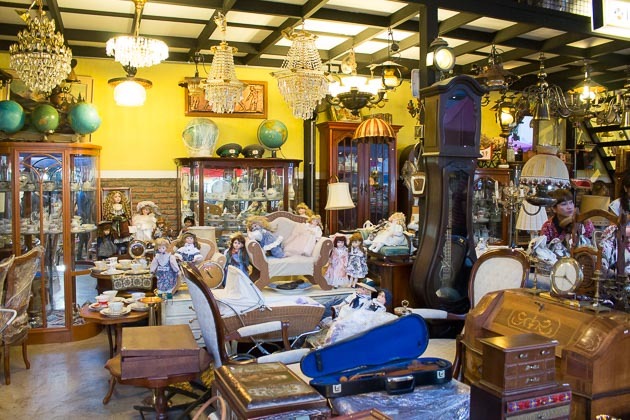 You can find items for sale ranging from license plates, to watches, to useless old car parts. A few more proper, permanent shops filled to the brim with items of yesteryear line the outside of the market. 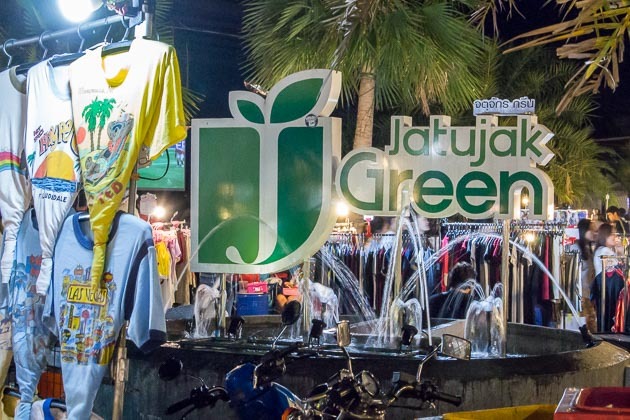 While the food and drink options at JJ Green are considerably less than other markets, the items for sale are unique and unexpected. JJ Green, while not large in size, is the perfect place for the curious shopper to get lost in (in a good way). 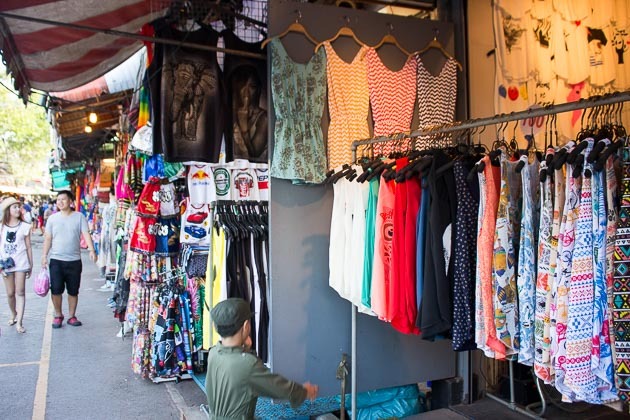 Chatuchak Weekened Market is arguably the most well-known and most visited of all the Bangkok Markets. 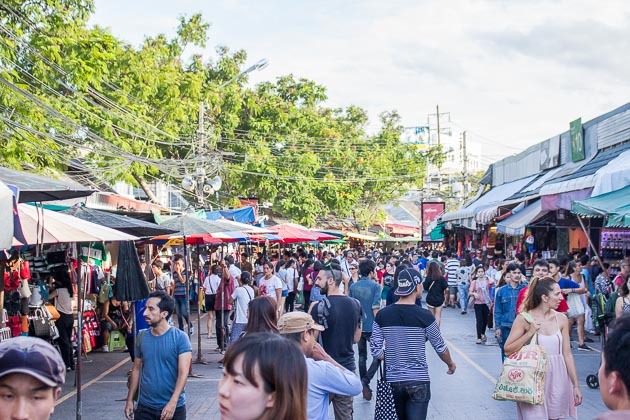 What many don’t know is that Chatuchak opens every Friday evening as well to shoppers looking to avoid the weekend crowds and daytime heat. 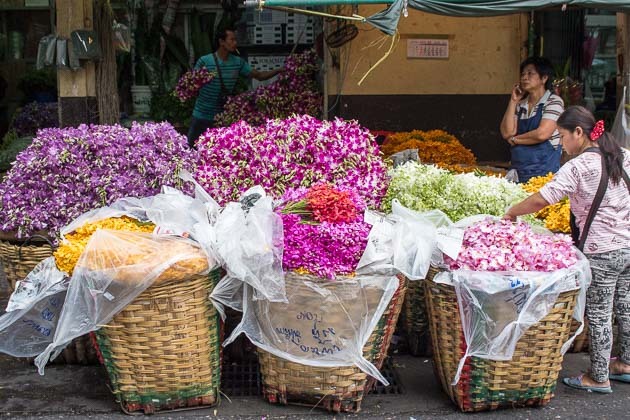 With thousands of stalls and ten of thousands of visitors each weekend, it’s nearly impossible see the entire market in one trip. 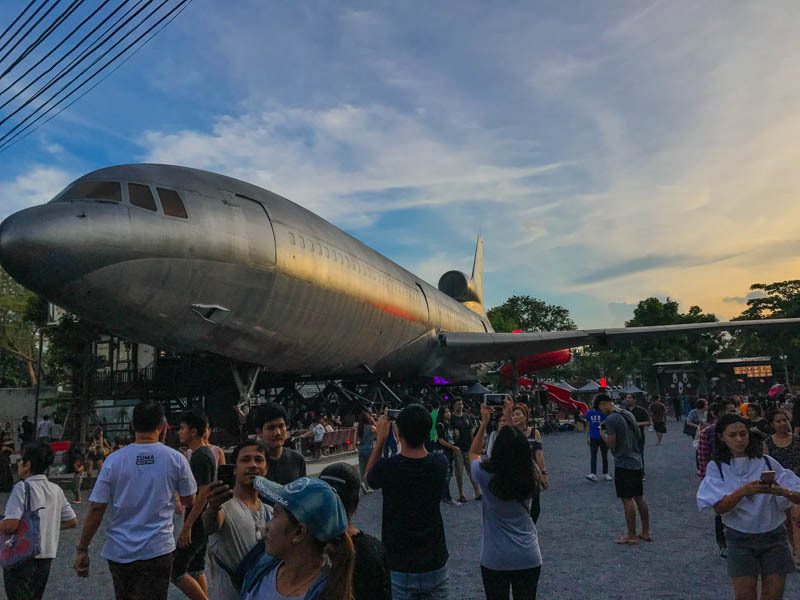 I would suggest checking out the Friday night vibe, as well as the regular weekend mayhem to soak in as much of Chatuchak as you can. 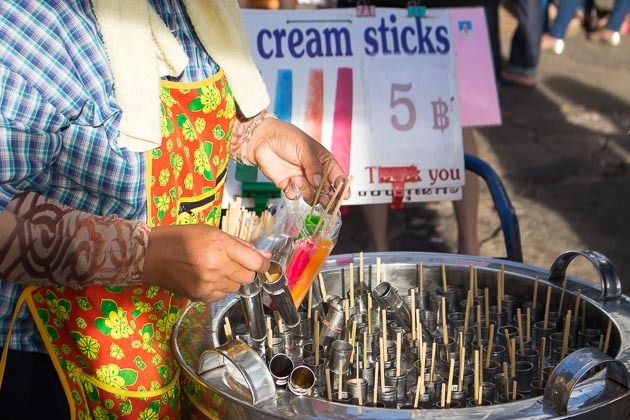 The biggest draw of Chatuchak is that they sell almost anything and everything under the sun. 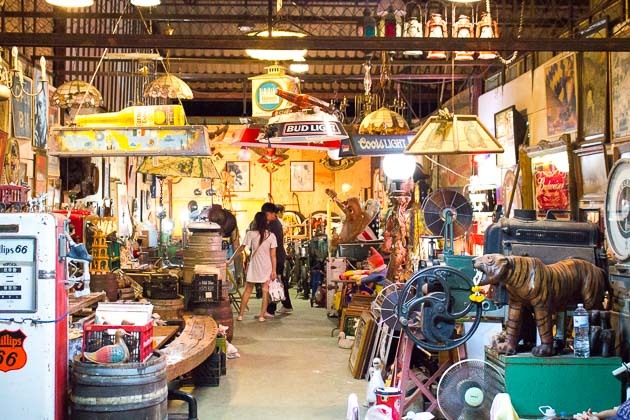 You can find anything here from clothes (both mass produced and local designers) to dishes, to trinkets, to pet bunnies, to high priced artwork and antiques – and everything in-between. 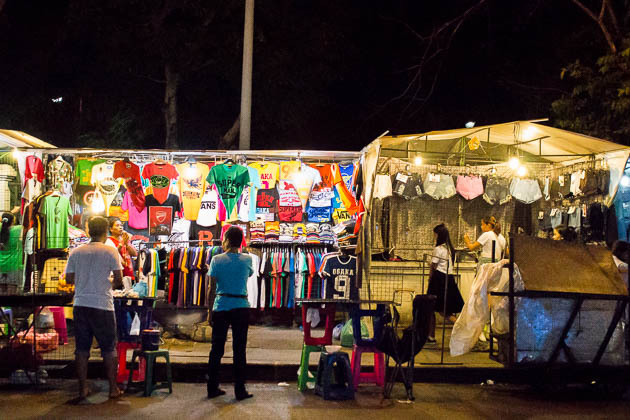 The prices here are more geared towards tourists, but with a little know-how and street savvy, anything and everything is negotiable. The markup is usually more than what tourists can even imagine. 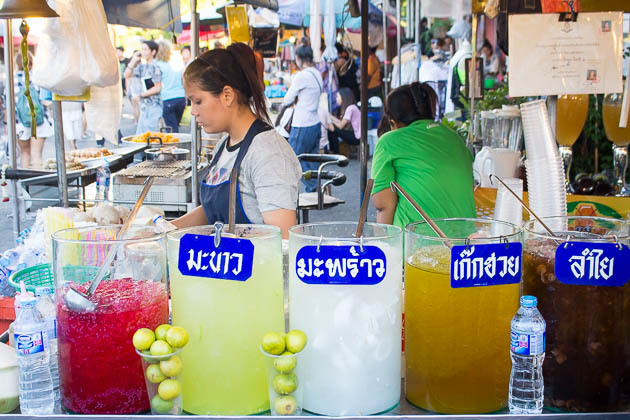 The food and drink options at Chatuchak are certainly not lacking. 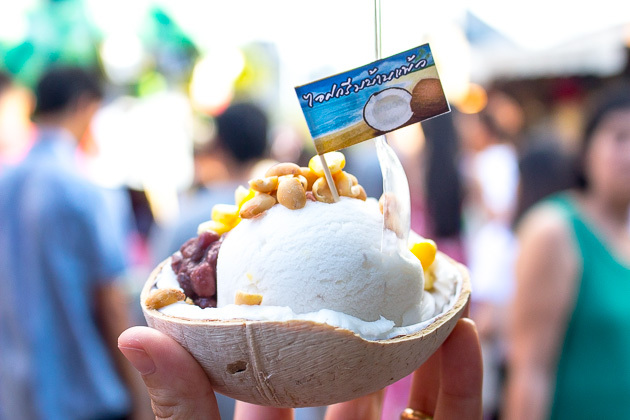 With this many visitors every weekend there is a coconut ice-cream or popsicle stand at every juncture – not to mention an entire section of more substantial foods. I would describe the vibe at Chatuchak as organized chaos. The dark, winding mazes of row after row of endless stalls can see can be overwhelming, but it’s a must see. 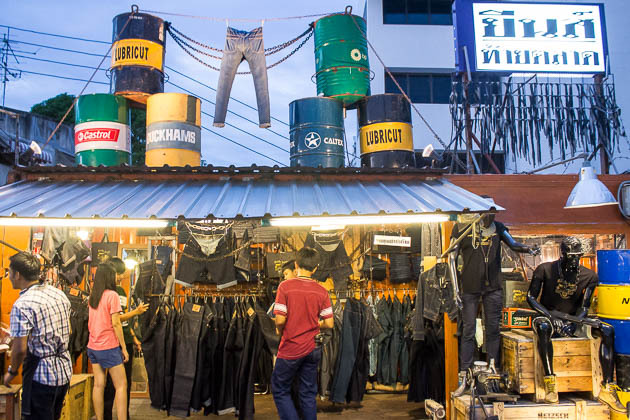 So if you are looking to do some serious shopping and not keen on massive crowds, join the hoards of locals and check out Chatuchak on Friday night. 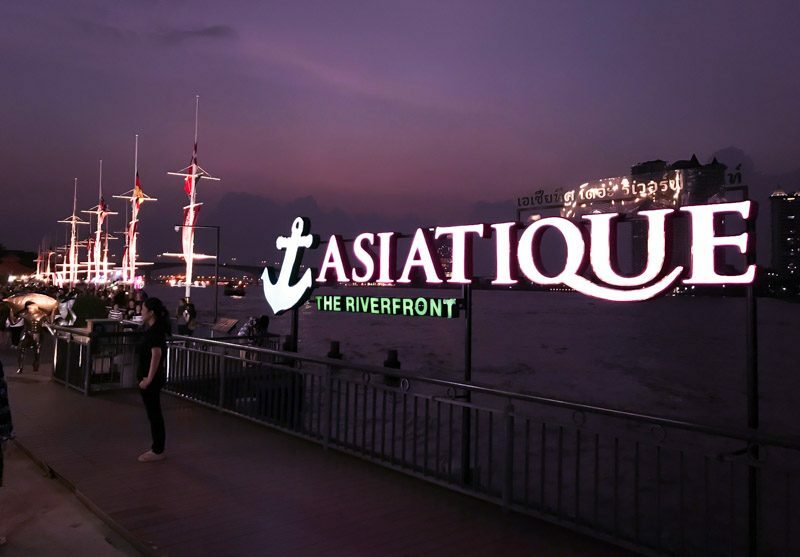 Located along the famed Chao Praya River, Asiatique is a night market with a view that is reason enough for anyone to visit it. Tourists and locals both come here to catch the sunset. It is definitely packed here with this scenic bonus. 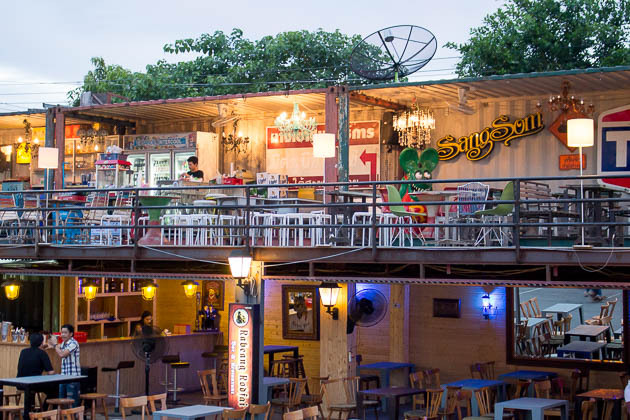 As a visitor, be prepared to find plenty of hip restaurants and bars here. Many will choose to sit by one of the restaurants facing the river to feel the cool evening breeze and catch a view of the crowds while sipping a glass of cocktail. 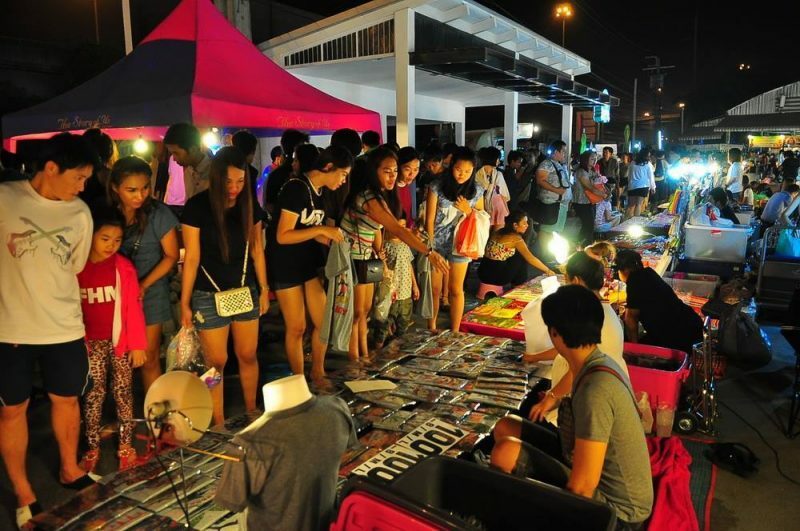 Of course, shopping is an important part of any night market and Asiatique definitely houses plenty of retail shops. 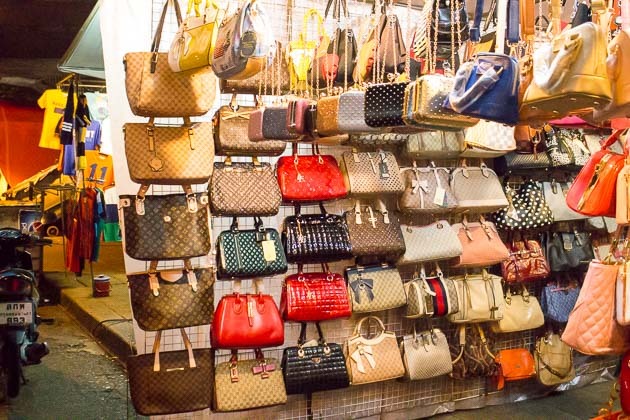 Do note that most things at this market are a little more upmarket and you might find yourself having to spend a little more than other night markets. 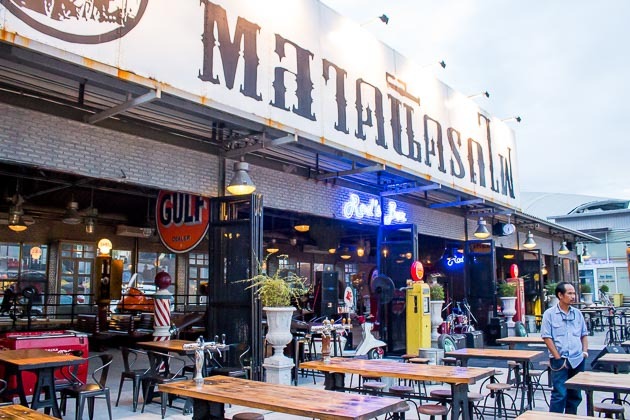 There are many photo-worthy spots and side attractions at Asiatique. 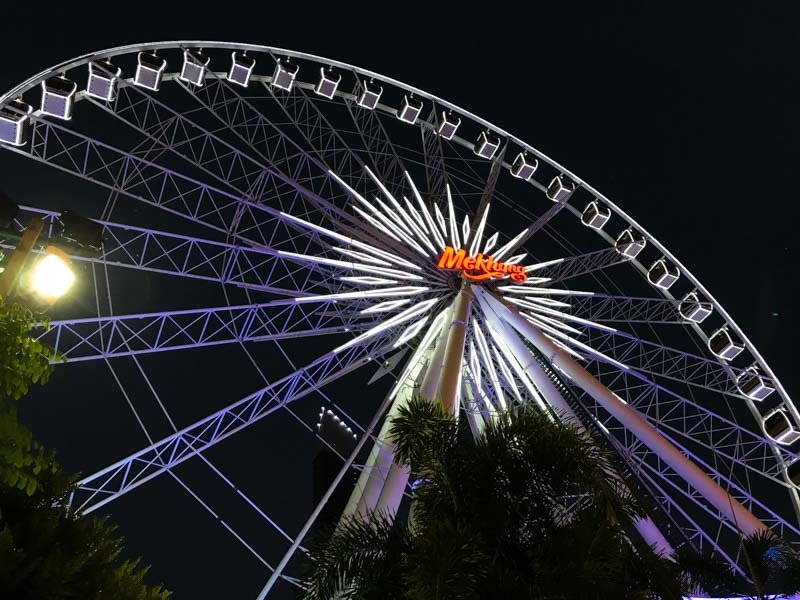 Perhaps the most notable one is the giant ferris wheel that will catch your eye even before you reach the market. Taking a ride for 400THB in one of the cabins will give you a chance to catch a bird’s eye view of the beautiful surroundings. Getting to Asiatique is easy as you can simply get off the Saphan Taksin (S6) BTS station and look out for signs directing you to the pier. 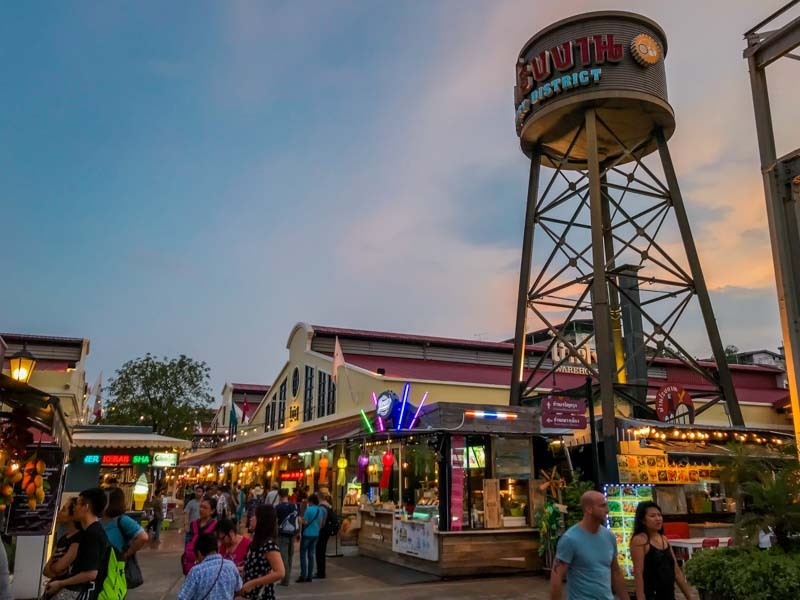 Once at the pier, ask around for the free boat shuttle to Asiatique and you will be on your way in no time. 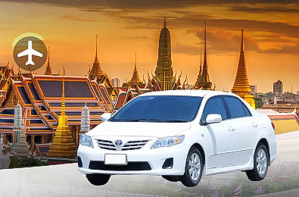 Alternatively, hop on a paid speedboat for a better view and more comfort as you head down the Chao Praya River. 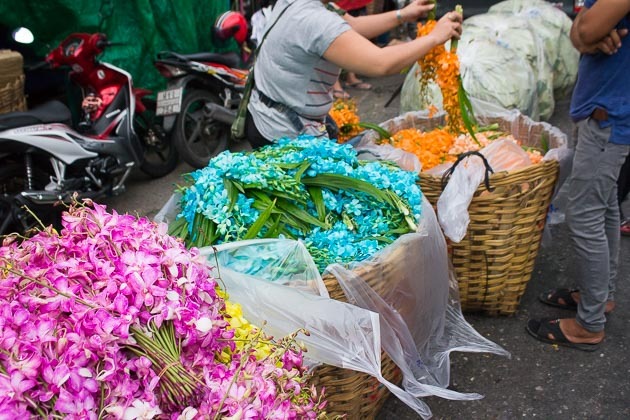 Do you have Bangkok market fatigue and feel like everything is starting to look alike? 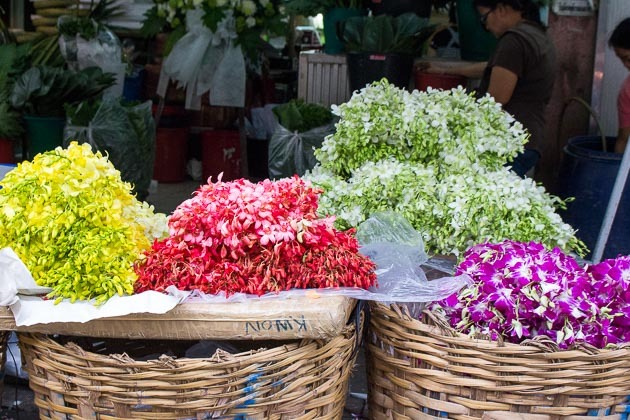 Switch things up by browsing the gorgeous, busheling flower market off Chakphet Road – Bangkoks largest wholesale flower market, open 24/7. 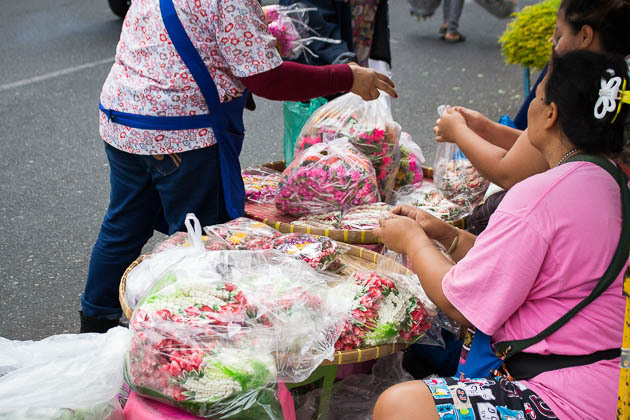 The market is alive with pops of vibrant colors, scurrying delivery boys and busy stall owners simultaneously stocking, displaying and selling their goods. 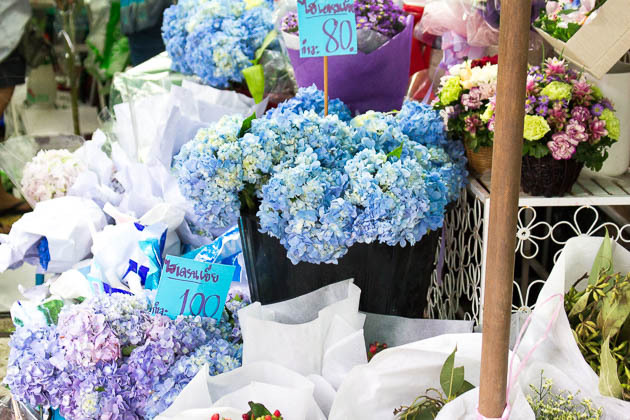 The crowd is a mix of wholesale buyers, individuals looking to pick up a small bouquet or offering and a few stragglers who just want to take in the esthetically pleasing environment. 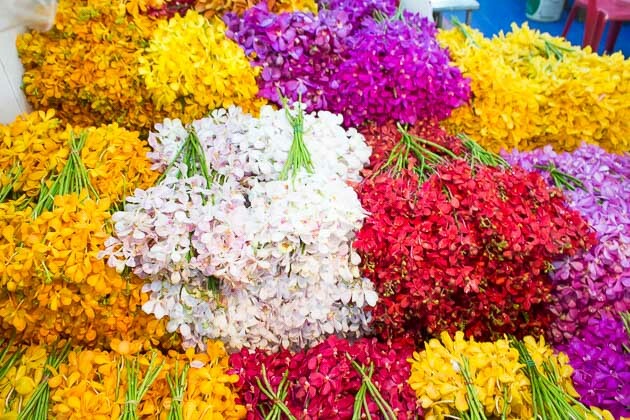 The flower market is great to check out if you are looking for something different in a market, don’t enjoy shopping for clothing, or just have an appreciation for all things beautiful. 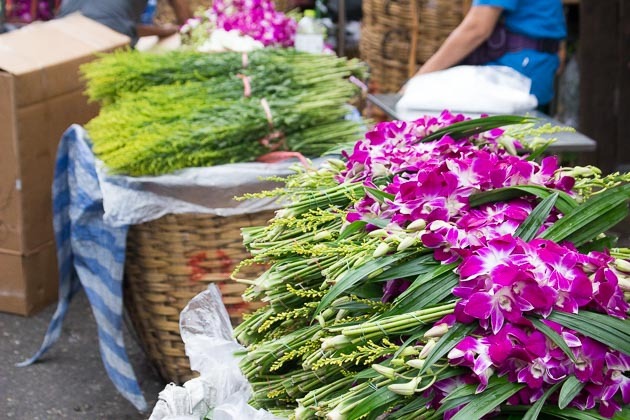 The market really starts buzzing in the late evening or early morning when a majority of the deliveries occur. 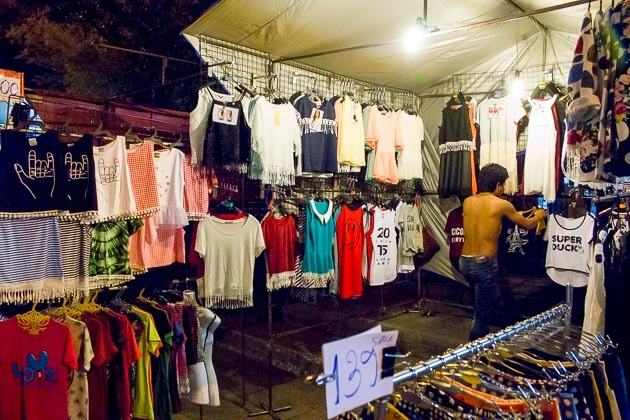 Just next to the flower market, is a small, relatively little known night market, Saphan Phut. 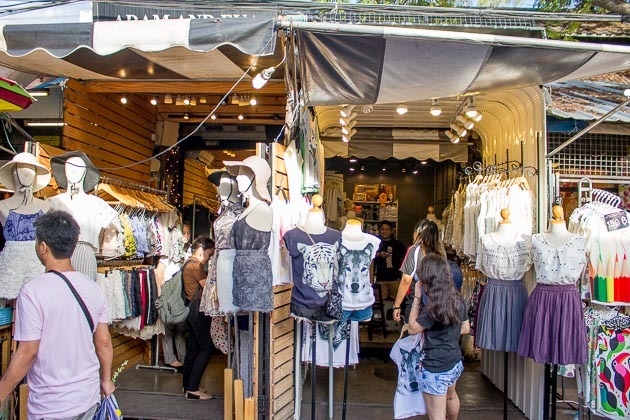 This market generally caters to the teenage crowd from the nearby school, but with that comes hip stalls and low prices. Do note it’s really late opening timing, like 8pm onwards. Lots of the stalls here sell shoes and clothing geared towards a youthful generation. 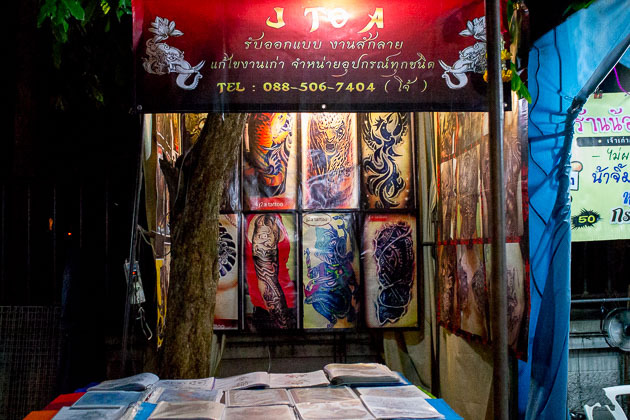 You can even find a few tattoo and piercing stalls if you are feeling a little rebellious. 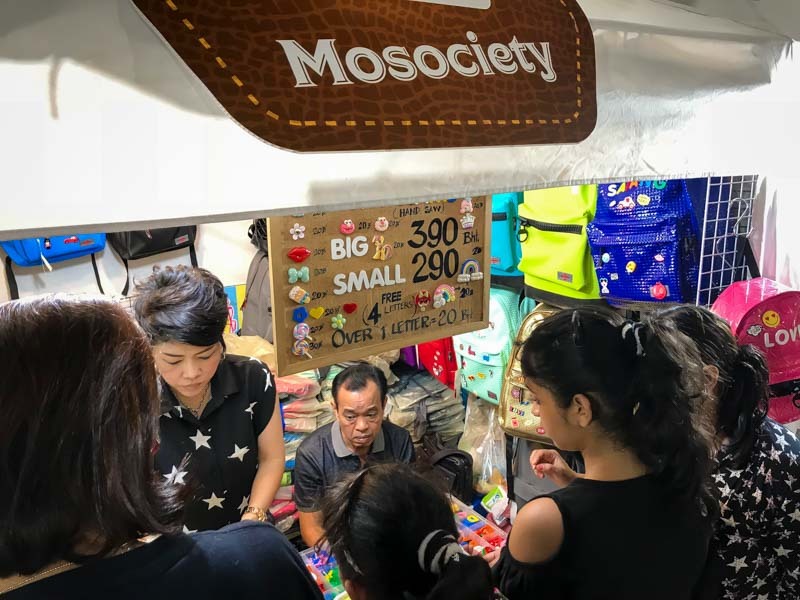 While the market is pretty small – stalls simply lining two sides of a long winding road – the youthful vibe and secluded set up are ideal you are not in the mood for crazy crowds or noisy bands. 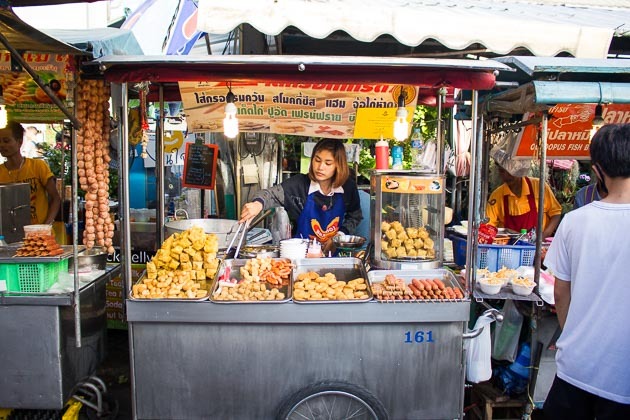 There is also a decent stretch of street food perpendicular to the market in case hunger strikes. 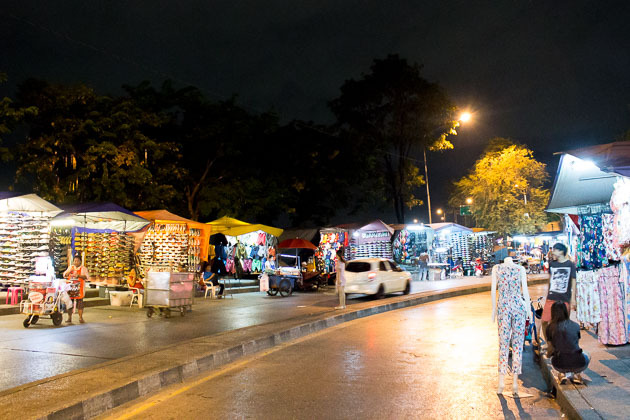 The Indy Night Market is located within Pratunam. Many might know this better as the area the famous Platinum mall (the Fashion & Accessories wholesale mall). In fact, the market is located right outside the mall itself. 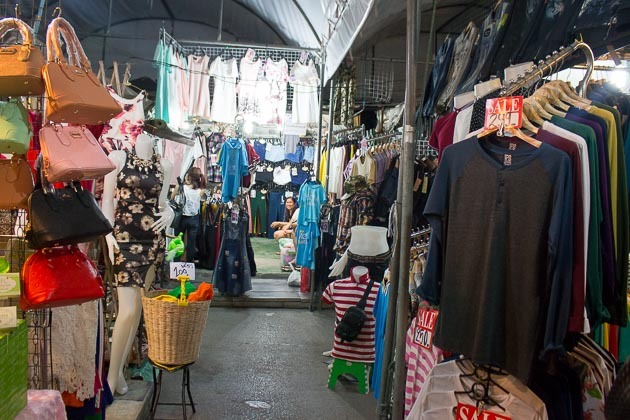 Despite being smaller than other night markets, there is reason to visit this place for the many handmade and unique products that are available for sale here. 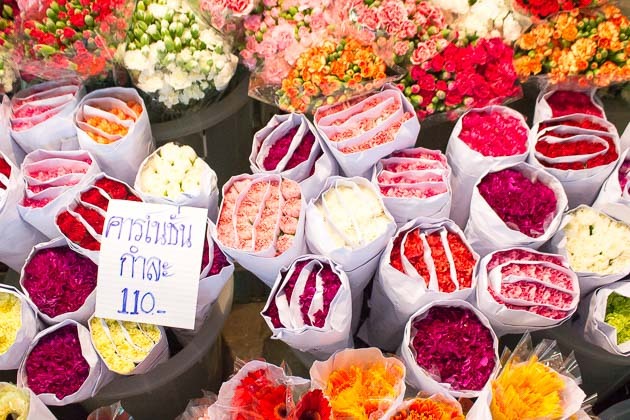 Most items also cost less than 100THB. 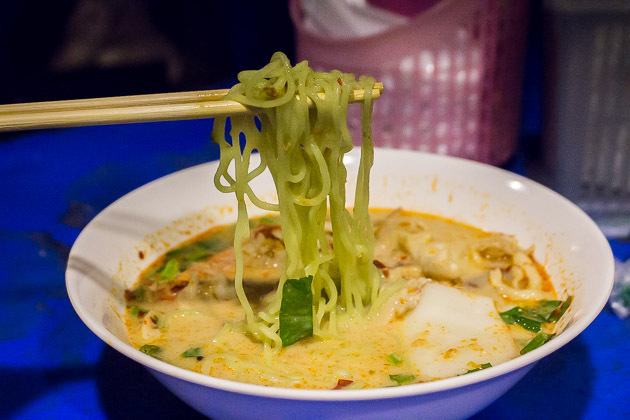 After your shopping, international and local food choices are there to satisfy your hunger pangs. 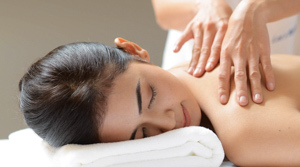 Of course, you will also already be next to the mall with some of the widest range and best prices that retail shopping has to offer. 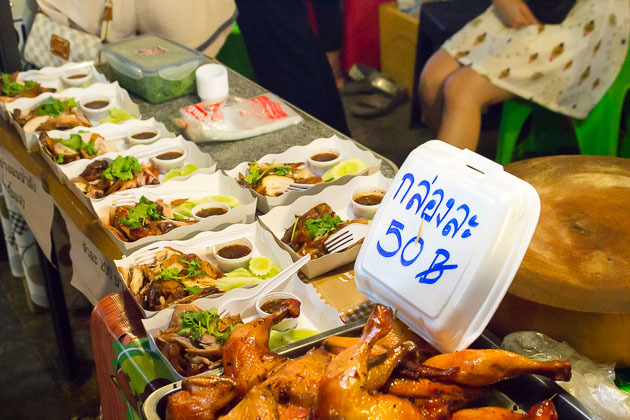 Not all the best night markets are located within Bangkok itself. 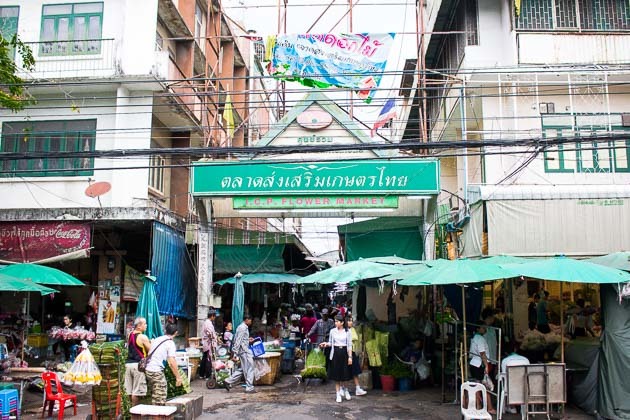 Located slightly out of Bangkok, the Talad Nud Liab Duan Ramintra will amaze you with the number of shops and the sheer size of its compound. 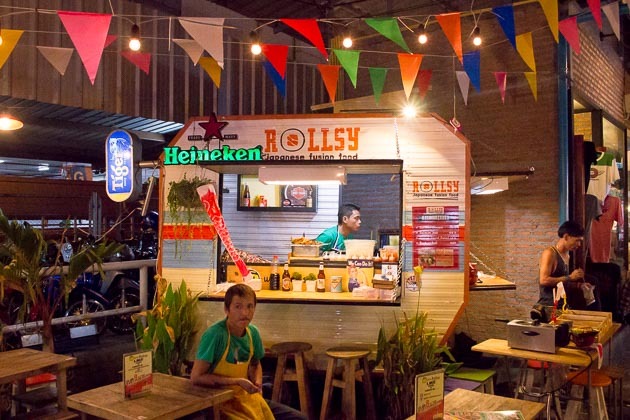 The concept and theme here resembles that of the Rod Fai Market at Ratchada. 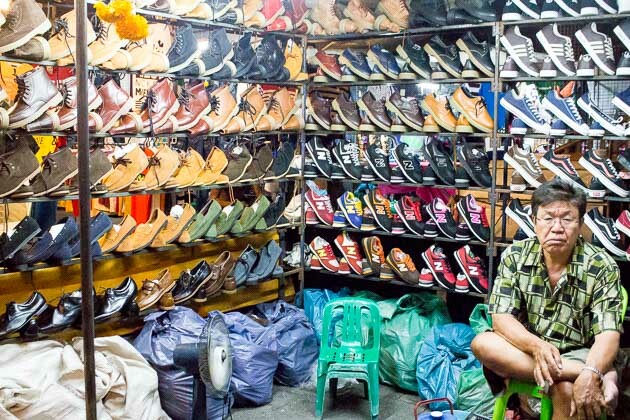 There are many stalls that sell clothing, shoes, and accessories. There is even shopping that can be done on behalf of your beloved pets. Girls would be excited to note that there are nail parlors for them to get their manicures. Oh, and guys may also want to check out the hipster barbers and maybe get a shave or haircut while waiting for your gals empty their wallets shopping and getting their nails done! 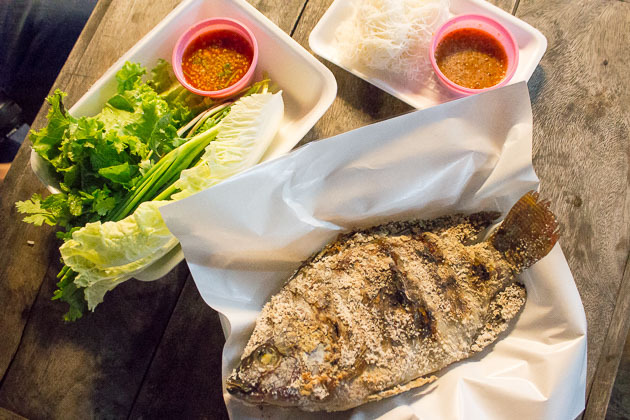 ChangChui is the newest addition in terms of night markets in Bangkok. 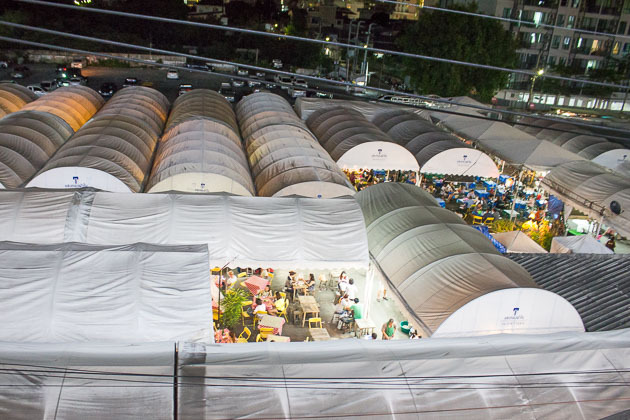 This market fuses a art into its unique setting. Much of the design here stems from the philosophy to “Reuse”. When you look around, the theme of sustainability through recycling and reusing is clear for all to see. For example, you will spot teak wood window frames and massive used glass windows from a shopping mall. Smack in the middle of the compound is an old big plane that is iconic with this market. Within the plane is a restaurant opened by a Thai chef that has been awarded a Michelin star. 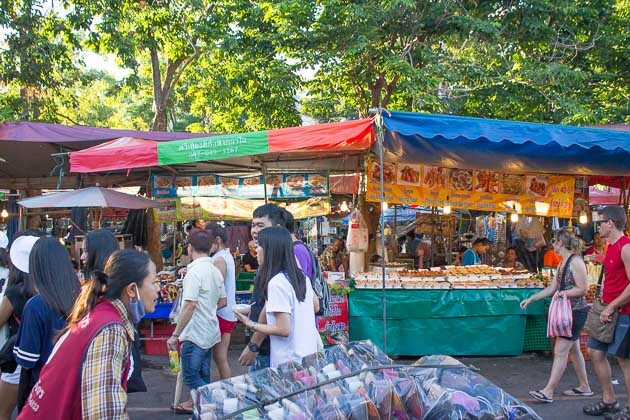 While ChangChui is not located near to the central of Bangkok, it’s worth a visit. 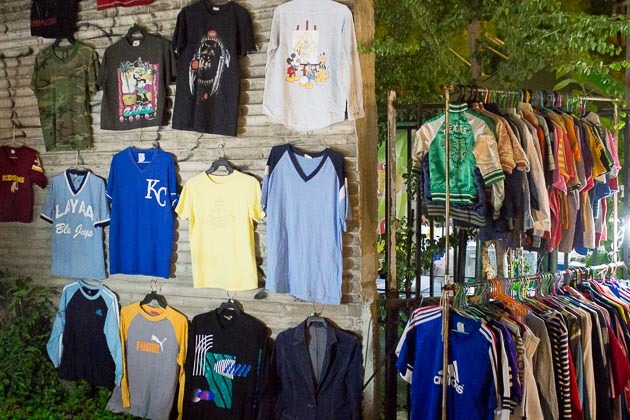 You can eat, shop and participate in carnival games here. Some of the many other places to visit are art galleries, a theatre, a book store, and even a tea house. 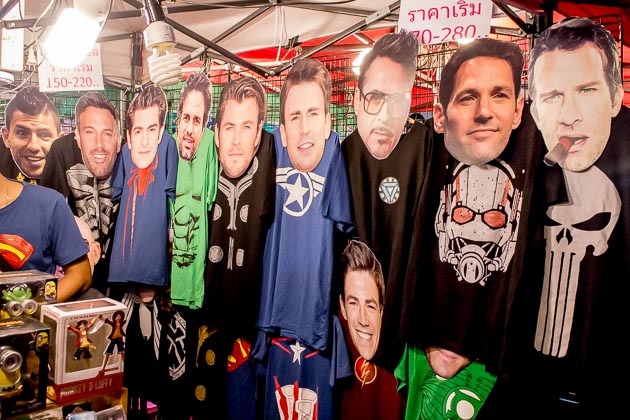 It is also interesting to note that most of this market is run by Thai artists from across the country. 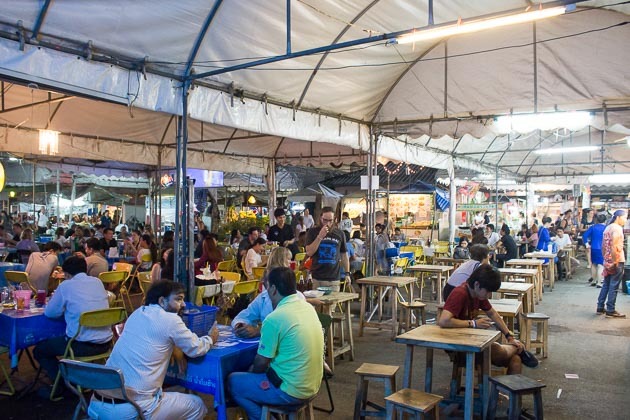 Located in one more of the more easy to access and central locations just off the On Nut BTS, On Nut Night Market caters to the expat crowd living in the area and visitors who aren’t looking to venture too far for the atmosphere and entertainment of a Bangkok night market. 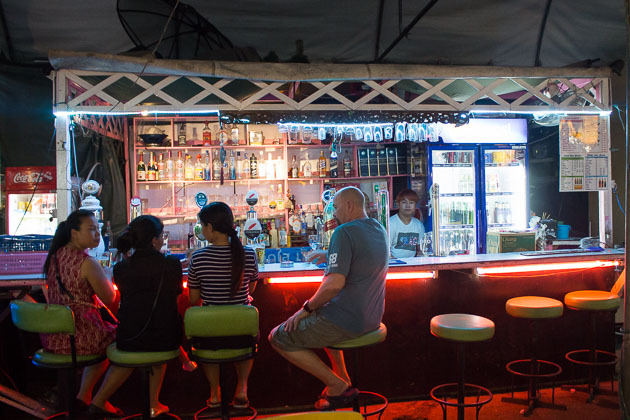 While relatively small and compact compared to other markets, On Nut is a great place to meet up with a group of friends and unwind after a long day at work or afternoon spent touring the streets and temples of Bangkok. 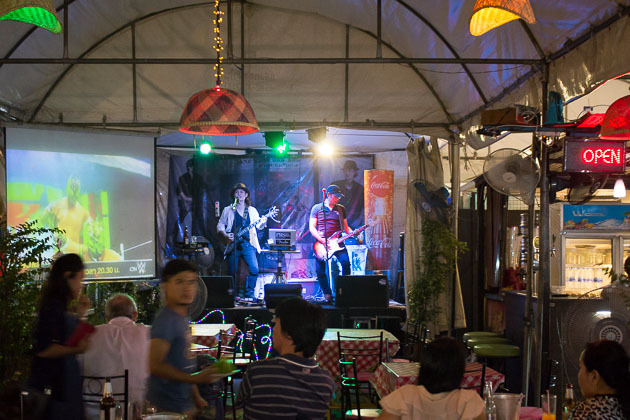 On Nut is well organized with a plethora of walk up friendly bars and a few extremely energetic live bands and bars setting the casual tone of the place. Away from the noise, there are plenty of more quiet tables to enjoy your dinner and catch up with friends over some cold beers and shesha. The shopping at On Nut is pretty par compared to the other night market finds, nothing really out of the ordinary or unusual. 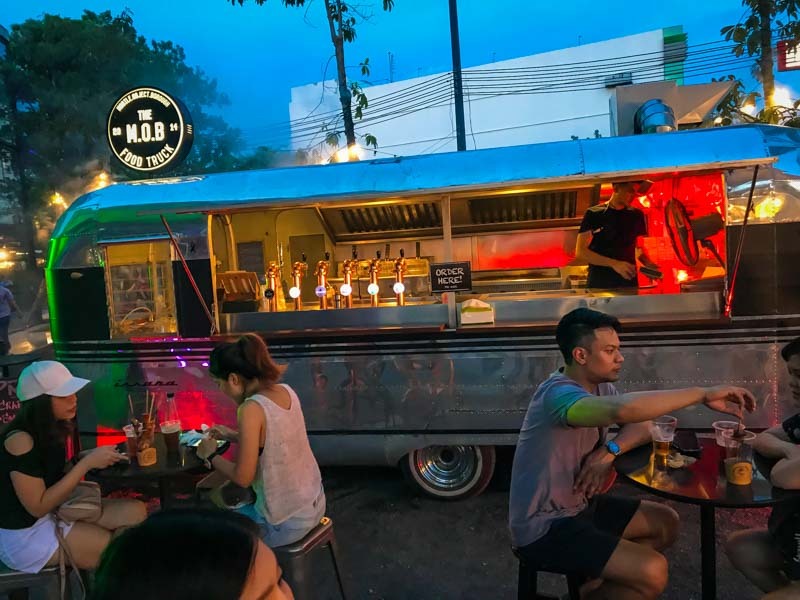 The real pull here is the convenient city location, comfortable laid-back vibe and overall chilled out, welcoming space to relax and hangout for an evening. 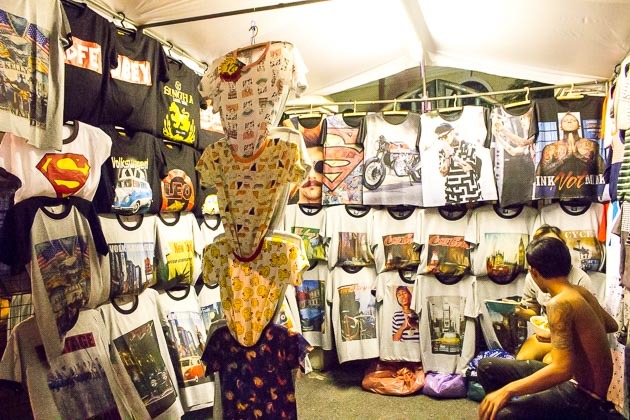 Having come to Singapore before, the Artbox night market is probably not an unfamiliar name to most. 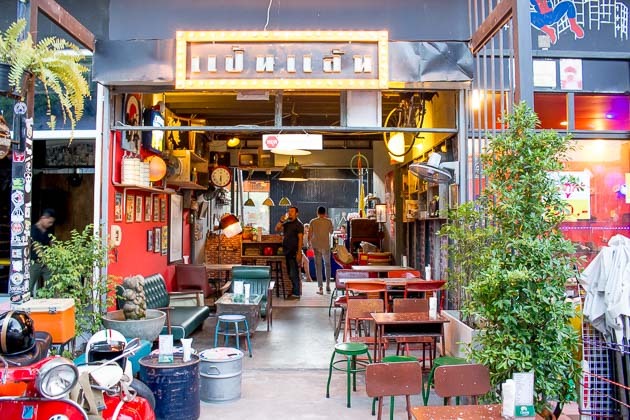 This pop-up market with a difference stalls that are housed in iconic giant metal shipping containers. 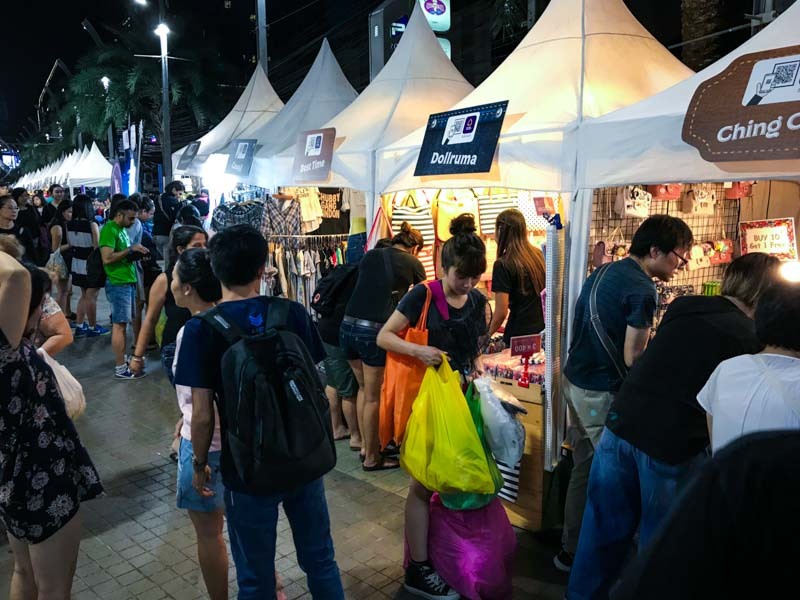 You will be able to find a huge array of street fashion, street food, handmade products, performances, light shows, and much more. 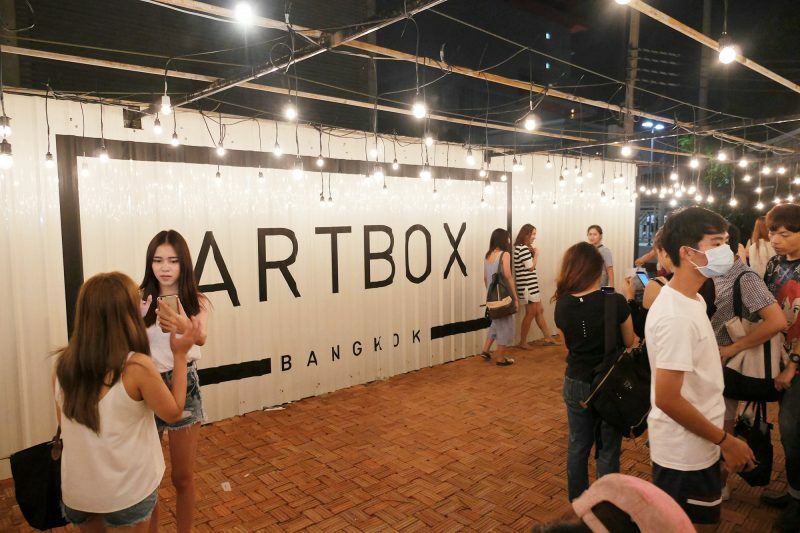 It is important to note that unlike other markets, Artbox does not always open at the same location. The location shifts around Thailand and even internationally. The giant metal shipping containers serve the purpose for this mobility. 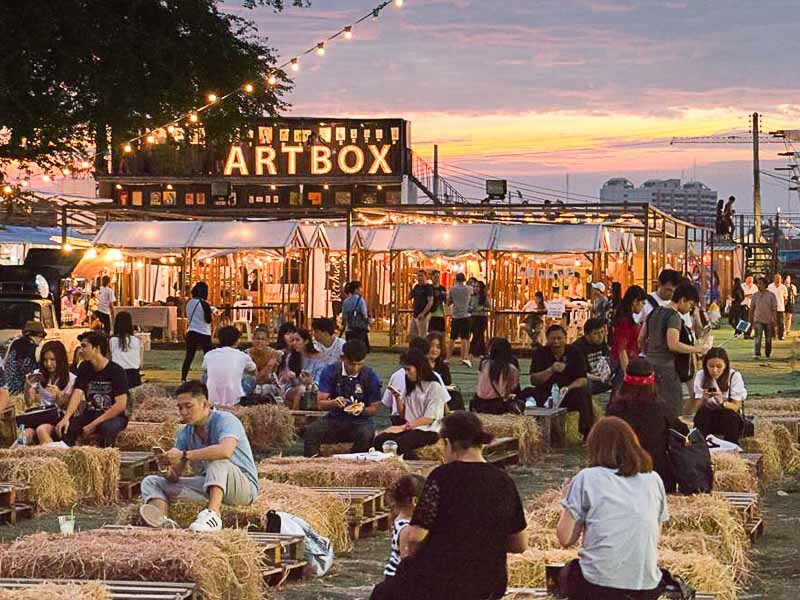 To find out where Artbox Bangkok is heading to next, keep yourself updated through their Facebook page. 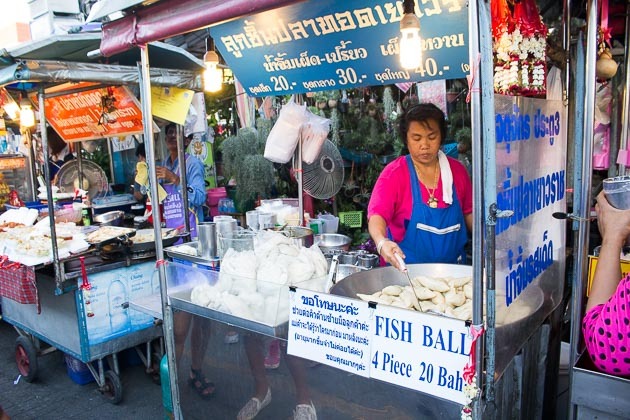 So next time you are in Thailand, visit one, or all, of these hip and bustling Bangkok night markets for an evening of local shopping and entertainment with a side of salted fish and an ice-cold Leo beer.